Huge ancient creatures always terrify people. They are signs of death that bring death. That frightening scene will no longer be only in stories, or legends. 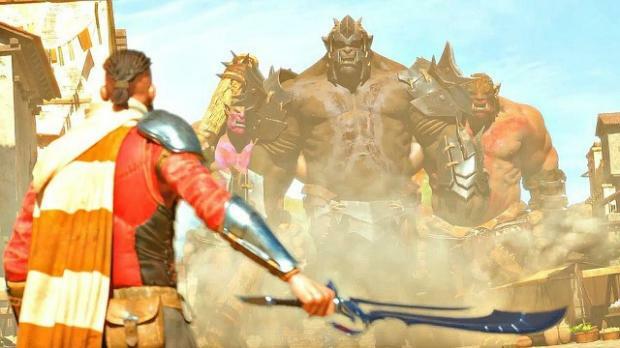 All will be replayed when gamers experience Extinction game. This is a game released by Maximum Games and developed by Iron Galaxy. 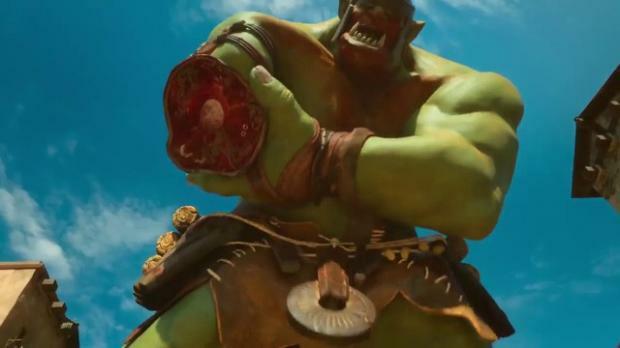 In accordance with the title of the game, “Extinction”, the whole process of playing, players will have to fight with the giant creatures called “Ogres”. The player will control a main character named “Avil”, one of the last Sentinels with a noble mission is to save the people who survived the conquest of bloodthirsty giants. Besides the “Ravenii”, Extinction also has “Ogres Minions”. The number of these small monsters is very much, at each ambush, they will rush to attack the harassing hill when you fight Ravenii. Fortunately, the main character Avil has superior combat skills to defeat these troubled Minions. With a sword equipped, the player can use combos to fight at extremely high speeds. Launch them into the sky, perform chain combos in the air, or use swords with wide-area damage to quickly wipe out soldiers. Particularly the leather whip used in flying situations is mainly. When moving through buildings or trees, players can use their whip as a “hook”, swing and jump over other positions. The special thing is that each time using the whip, the rhythm in the game will be slowed down, allowing the player to plan for the next move. As for the giants “Ravenii”, you cannot destroy them normally, but must use “Rune Strike”. This can be understood as a powerful magic that a player can use when the sword is fully charged. The rampage can be accumulated by destroying the target parts of the body “Ravenii”. Each type of “Ravenii” will be equipped with different armor. Players will have to attack each of their weaknesses. Eliminate the ability to move, disable the ability to attack.